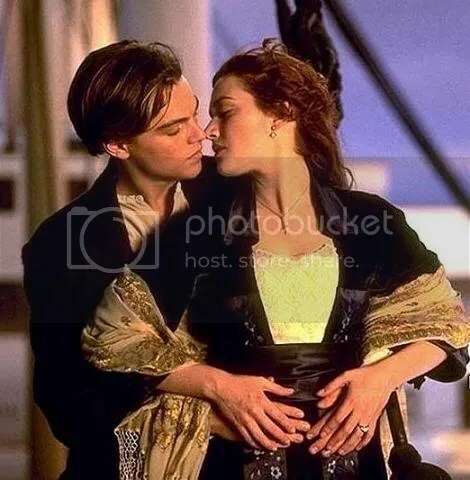 Titanic tells the story of the doomed maiden voyage of the largest ship in the world and the star crossed love affair between a first class passenger and a young man from steerage. It is almost pointless to set out to review Titanic because if you have not seen it in the 15 years since it was first released, odds are you are not going to see it now. It is interesting to look at the film through the lens of nostalgia, however, and with this re-release in time for the 100th anniversary of the ship setting out from Southampton, this is precisely what will pull audiences in to the cinema again. James Cameron seems to have fallen in love with 3D since his passion project Avatar, but the problem with retro fitting Titanic into 3D is that the film was not made with this technology in mind, so while there is a little extra depth on screen – sorry – the scenes that made Titanic impressive are no better than they were the first time around. Of course it is a thrill to see the movie on the big screen again, but that iconic shot where a falling man hits the propeller is no better or worse looking than it was before. This is where nostalgia comes in to play. If you were a teenage girl in 1997, chances are that you walked out of Titanic crying your eyes out over the death of Jack, but in the years since, many other leading men have died on screen, and Leo is not quite as fresh faced as he was. So then, why are we going to see Titanic? We all hanker after our youth a little bit, and seeing the iconic 90s film in the cinema again is a way to connect with our past selves, if only for a second. Tragically, the film’s dialogue has not held up well over the years. Kate Winslet’s constant repeating of her lover’s name (Jack… Jack! JACK!) grates after a few minutes, as does Jack’s innocent and optimistic assertion that everything will be OK, despite the fact that they are on the back of a boat that is sinking into a freezing ocean. Actually, this feels a little like he is patronising Rose, and keeping upbeat so as to avoid a bout of womanly hysteria. The re-release of Titanic in 3D in April 2012 is obviously an attempt to cash in on the centenary commemorations of this tragic event, but there is such a wealth of new material out there on the Titanic, that the film screenings may change from a cinema event to a mild curiosity. Those who loved the film the first time around will probably enjoy themselves – and of course there is the added bonus of nostalgia for our own past and the history of the world we live in – but this is a film we have seen before, and it doesn’t benefit from being darkened down for 3D. The good news is that Billy Zane is just as camp and brilliantly over the top as you remember, go and see it, if just for Cal.